“Congratulations!”…Whether you hear this through gritted teeth or with genuine happiness from your boss, you have rights when you are pregnant, and your length of service is irrelevant. 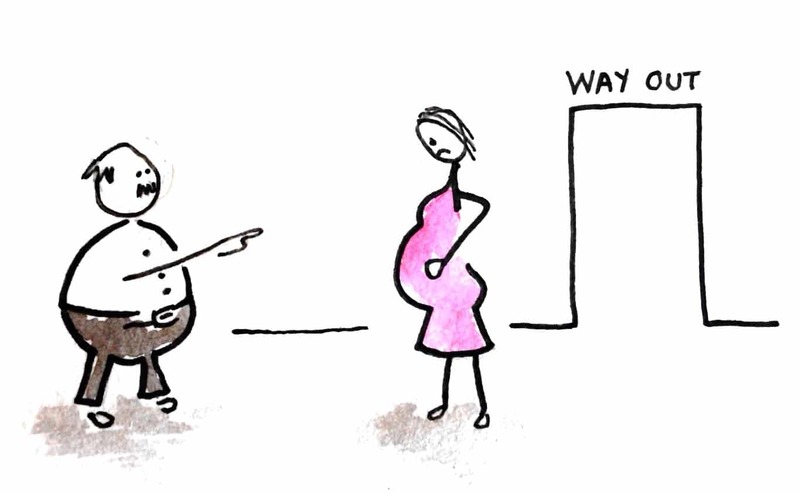 Pregnancy discrimination in the workplace is more common than we think. The right not to be unfairly treated or dismissed. Pregnant employees’ maternity rights entitle them to time off from work for anti-natal care and they are entitled to be paid for any time off. This means that pregnant employees are entitled to take paid time off work to attend appointments with midwives and other specialists involved in the care and well-being of the mother and her baby. Whether this extends to non-medical anti-natal care such as parental lessons, such as the courses offered by the National Childbirth Trust (NCT), is open to debate. It is also uncertain whether an employee is entitled to paid time off work to undergo IVF treatment. Clearly, once she has conceived, any such appointments will be pregnancy related, but an employer may not be obliged to allow paid time off work for pre-conception appointments. Example: Ms Jones and Ms Smith are pregnant. Ms Jones tells her employer that she needs time off to go for her 12 week scan. Her employer must not unreasonably refuse her time off work to go for the scan and she is entitled to be paid in full whilst at the appointment. Ms Smith tells her employer that she needs time off to attend at an NCT parenting class. Her employer may be entitled to refuse her request for paid time off work on the basis that the parenting class is optional and unrelated to the birth. The definition of “ante-natal care” was tested in the 1997 case of Bateman v Flexible Lamps Limited. All pregnant employees, irrespective of length of service, are entitled to 52 weeks maternity leave. This is split into 26 weeks ordinary maternity leave (OML) and 26 weeks additional maternity leave (AML). There is also a period of compulsory maternity leave, which must be taken if you do not choose to take OML or AML. This is the 2 weeks following the birth (or 4 weeks if a factory worker). There is no minimum time that an employee has to work before they become entitled to maternity leave rights. It available to all employees irrespective of their length of service, whether they work full or part time, hours of work or size of employer. However, in order to qualify for maternity leave, the employee must tell her employer (1) that she is pregnant (2) when she expects to have the baby and (3) when she plans to start her maternity leave. This information must be given to her employer more than 15 weeks prior to her due date. Example: Ms Smith becomes pregnant, and her doctor advises her that her due date is 19 December 2010. She plans to start her maternity leave on 1 December 2010. In order to qualify for maternity leave she must tell her employer of her due date and the date when intends to start her maternity leave, by 11 September 2010 at the latest. The employer should then advise the employee, ideally in writing, of the date that the employee’s maternity leave will end. This information is important, as it means that both parties are clear as to when the employee is expected to return to work. Whilst on maternity leave, pregnant employees are entitled to continue to benefit from all of the terms and conditions of their employment contract, except when it comes to pay. This means that a pregnant employee, whilst on maternity leave is entitled to continue to enjoy all non-cash benefits, such a life assurance, medical insurance, gym membership, the use of a company car etc. Even certain non-contractual or discretionary bonuses should be continue to be paid. Any interference by an employer in a pregnant employee’s benefits is likely to be regarded as an act of sexual discrimination and could give rise to a tribunal claim. Example: Ms Jones is on maternity leave. Whilst on leave, all of her colleagues receive a discretionary Christmas bonus of £500, but Ms Jones receives no bonus. This would amount to an act of sexual discrimination. Had she not been on maternity leave, she would have received the bonus. Similarly, a pregnant employee’s annual leave entitlement will continue whilst she is on maternity leave. A pregnant employee, cannot, however, take paid leave whilst on maternity leave, and in order to take paid annual leave, the employee would need to bring her maternity leave to an end first. This is why pregnant employees often opt to use any remaining annual leave entitlement at the beginning and end of their maternity leave. Under the employee’s maternity rights, maternity pay is payable to employees who have worked for 26 weeks prior to the end of the 15th week before her expected week of confinement (EWC). Broadly speaking, this means that, in order to qualify for maternity pay, the employee must have worked for 40 weeks before her due date. If an employee is eligible to receive maternity pay, they must pay it to her for 39 weeks, calculated as follows: For the first 6 weeks, the employee is paid 90% of the her normal weekly earnings. For the remaining 33 weeks, the employee is paid a prescribed rate (currently £124.88 per week – this the prescribed rate for 2010/2011). 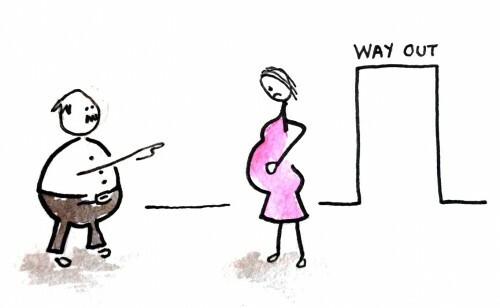 Pregnant employees have the right to not suffer any unfair treatment (detriment) or to be dismissed for a reason connected with their pregnancy. Any such detrimental treatment or dismissal would amount to an act of sexual discrimination. This means that any dismissal connected with an employee’s pregnancy will be automatically unfair. An employee has this right irrespective of their length of service. Whether an employee has been dismissed for for a reason connected with her pregnancy is a question of fact, and employment tribunals will look at all of the facts surrounding a pregnancy related dismissals, before deciding whether an employee has been unfairly treated or dismissed because of her pregnancy. Employers are occasionally reluctant to continue to employ pregnant workers, and often make up other reasons for their dismissal. This is especially the case when the employee has less than a year’s service, as it is easier to dismiss employees in these circumstances. Nonetheless, if the employee is able to prove that the dismissal is linked to her pregnancy, she can recover damages for unfair dismissal and for injury to feelings within her maternity rights. Example 1: Ms Jones, a postwoman, is pregnant. As a result of her pregnancy, she is finding it increasingly difficult to do her delivery rounds. She is also reluctant to over exert herself, as she has previously suffered a miscarriage. Her manager is unhappy with her performance and she is dismissed. Because her dismissal is related to her pregnancy, she is unfairly dismissed. Example 2: Ms Smith is pregnant and is suffering from terrible morning sickness, requiring her to have a lot of time off work. She is dismissed for excessive absence from work. Her dismissal is clearly linked to her pregnancy and her dismissal is automatically unfair. It almost goes without saying that it is unlawful to select an employee for redundancy as a result of her pregnancy. Furthermore, whilst it is possible to make an employee redundant which she is on maternity leave, an employer is obliged to offer her suitable alternative employment in preference to all other employees at risk of redundancy. The maternity leave rights information on this website is for guidance purposes only. Every case is unique.